Ive been published!!! 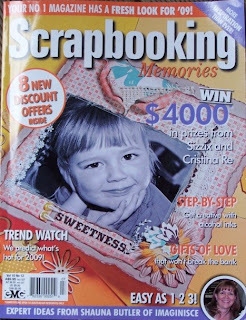 !Im on page 115 of Scrapbooking memories Vol.10 #12!! !This is my first ever time being published and I am suitably exstatic!! !Im thrilled and couldnt wait to get my hot little hands on the mag :D Everyone in my family is out buying a copy today too :) Yay! !Happy days!! way to go gorgeous!!!! can't wait to get the mag tommorrow!! congrats honey you deserve it!!!!! WOOOOOOHOOOOO!! :) I'm not surprised at all!! Your work is just fabulous!! Congrats!!! Congratulations Krissy... I'm so thrilled for you!! hi Krissy! I spotted your layout straight away and was so excited for you! Your first pub of many, I am sure!